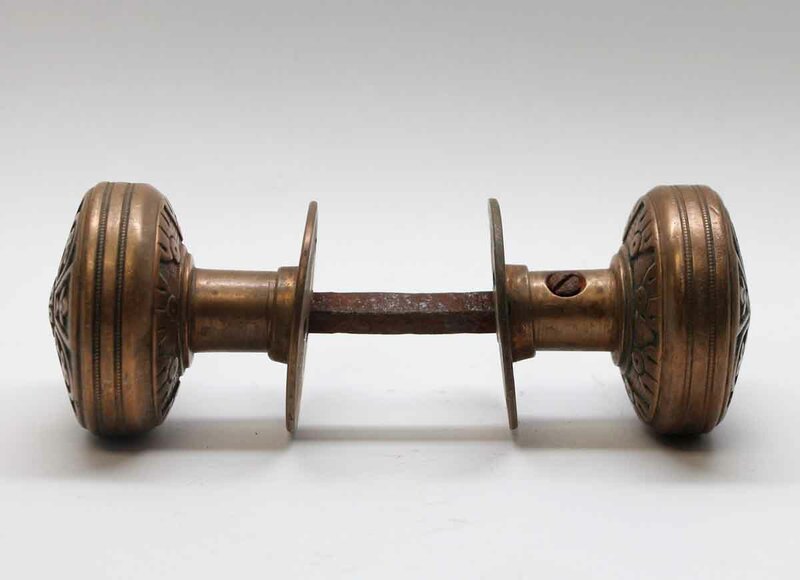 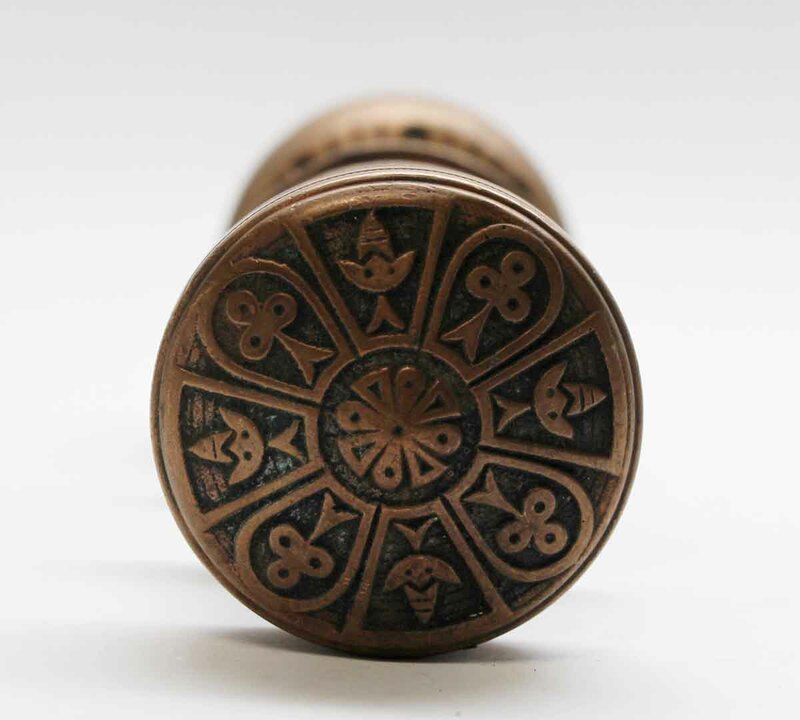 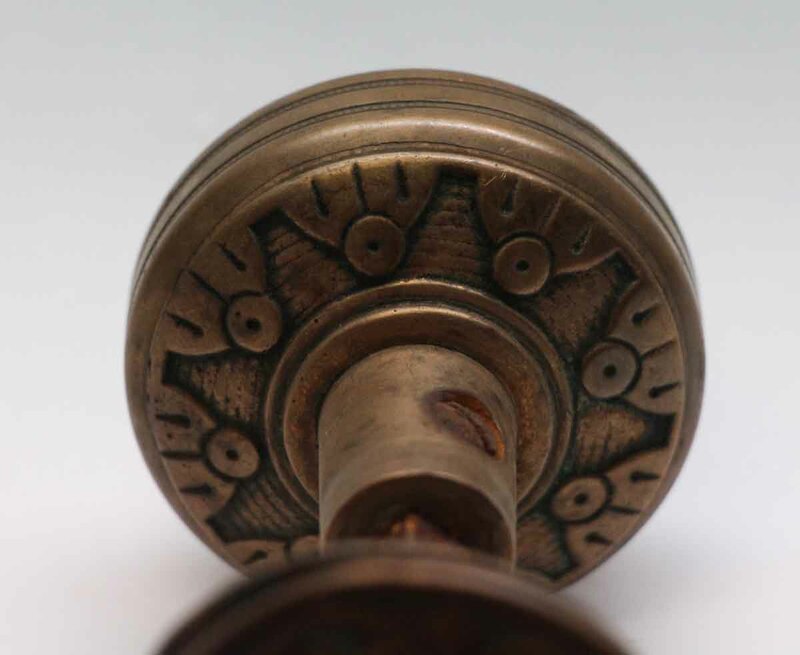 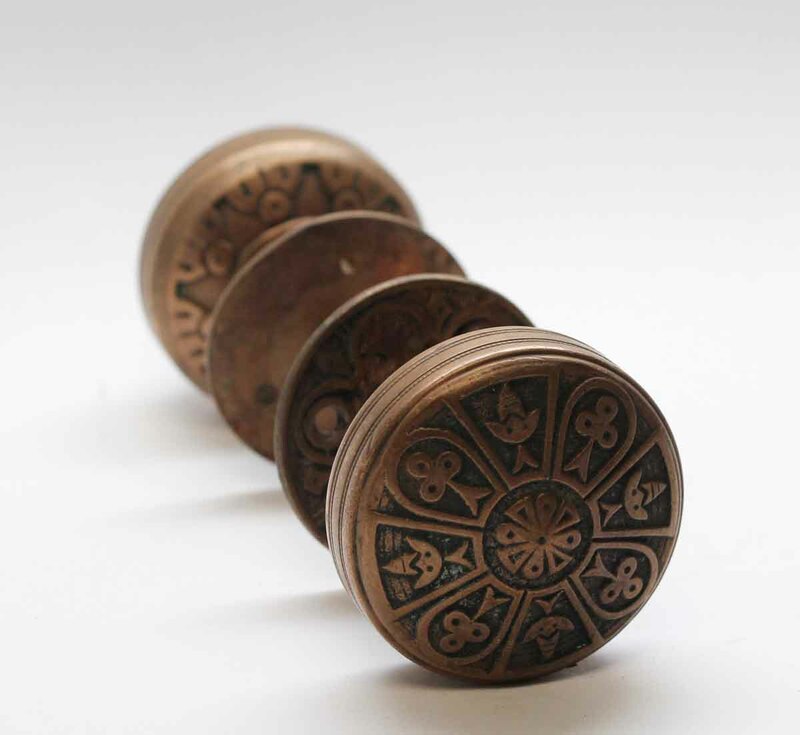 This Vernacular style eight fold knob was made by Norwalk in the 1885 catalog. 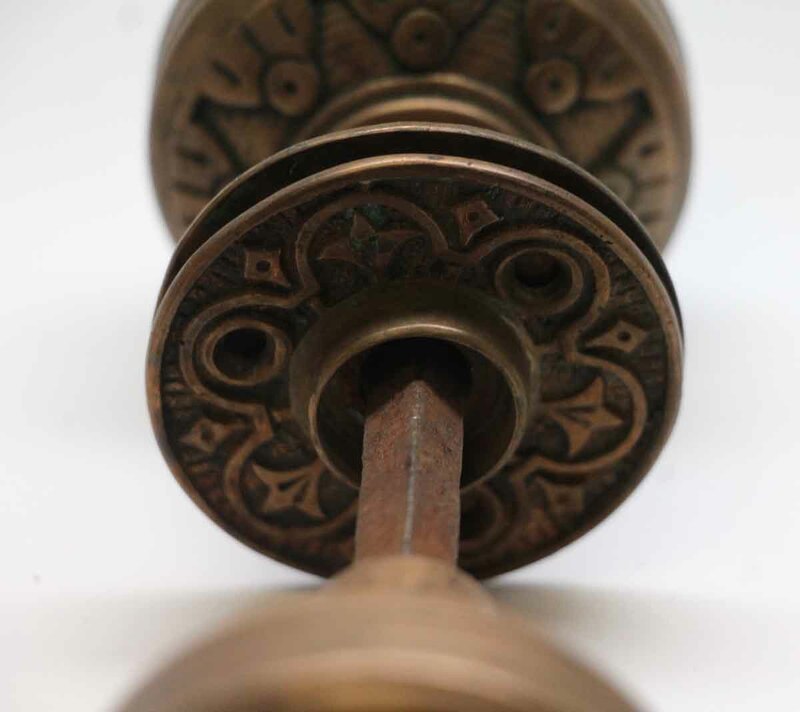 It is part of the H-20100 group. 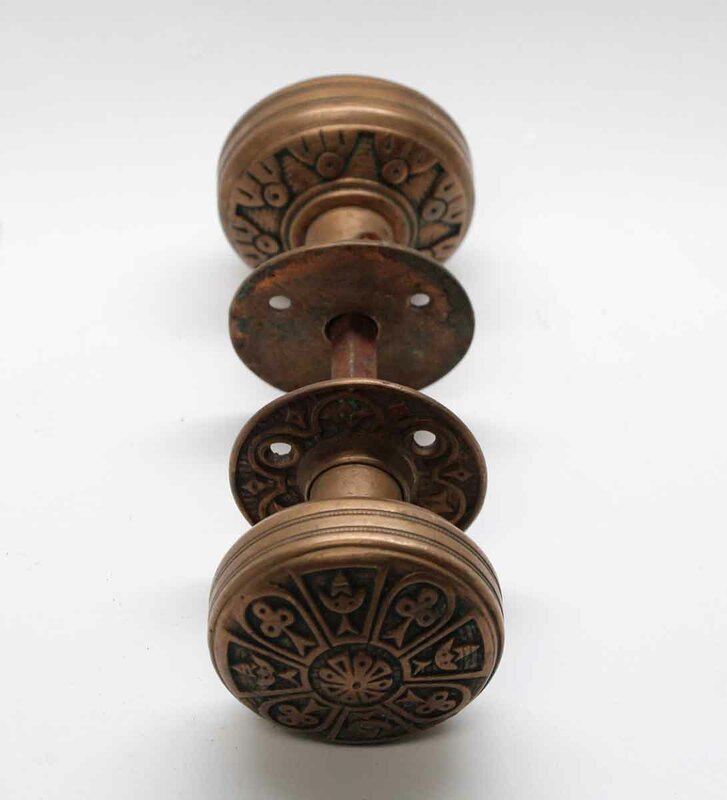 Set includes two knobs with a spindle and two matching rosettes.